"Us vs. Them" - or - "We". Social media posts show how people push others to opposing sides or if they seek ways to unite. People are often more alike than different, but many enjoy labels and going to battle. It is often not even noticed. A professional friend who I respect was recently described as a "nasty divider". I was surprised, as the person in question is smart, dedicated and passionate, but others view her as one who has to always be "right", and make others feel "wrong". I did not understand, until I looked closely at her Facebook page. Everything she posts is "Us vs. Them". While not necessarily "nasty", she makes villains out of people with other points of view. This is not only about politics (but if you look at most political posts, this is extra evident). The division occurs in connection with all types of topics...some of which do not even need to have opposing sides. 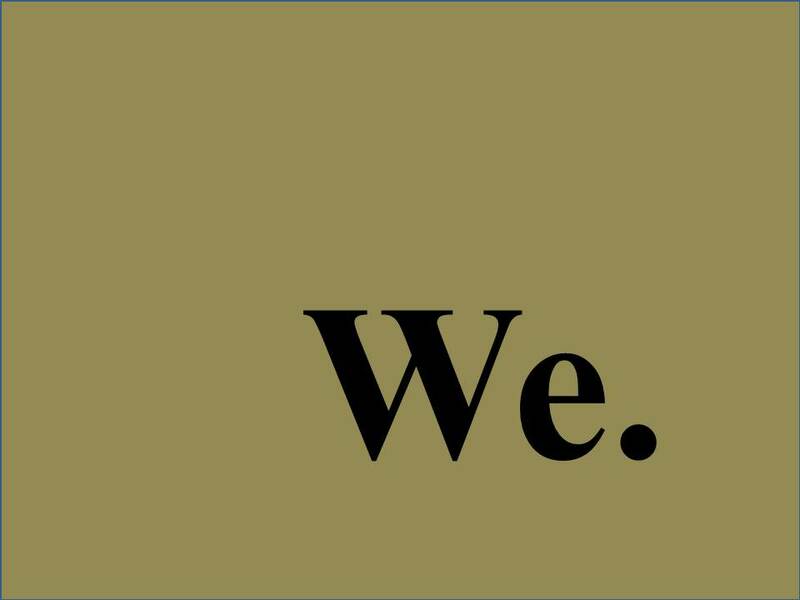 I am guilty of this (we all are to some extent), and am working to lead with "we" much more often in all I do. How about your social media stream? What do your posts say about you? Uniter or Divider? My friend Ken Harris is currently on a cross country 52-Day bike ride from San Francisco, CA to Portsmouth, NH. Oh, did I mention he is 70 years old? Yeah, I am lucky to run a 5K once a year, and Ken is peddling across the whole United States (3872 Miles) in less than 2 months. This has been on his bucket list for many years. He is always on the go with some activity....He travels the world, skis, camps, hikes, and does all sorts of activities to keep very young at heart. When the opportunity came up to do this ride he decided to go for it. It has been great fun to follow his adventure on Facebook and on the blog of his fellow rider John Aylward. Today was Day 27 and they are currently in Kansas. Part of his journey is to raise money for the Davis Phinney Foundation for Parkinson's Disease. Both his mother and brother are afflicted with Parkinson's and this is a cause that matters to Ken's family. He has currently raised $4470.00, on a goal of $5000.00 (soooo close!! - jump over and make a small donation if you feel so inspired). I look forward to hearing all about Ken's adventure when he gets back to Austin in August. In the meantime... Happy peddling. The topic of creativity keeps coming up. As I meet with business professionals in all industries there seems to a lot of seeking that piece of ourselves that we know is creative. We desire to create. We all start off creative; as kids we make up games, color outside the lines, build forts with blankets, etc.... Then along the way it becomes uncool or weird to be too creative. If we are not involved in the Arts many of us leave our creativity behind. In middle school we long to fit in. In high school we long to be attractive to others. In college we party or study (or both). Then we get into the work world and discover life is hard enough to just get by, much less forge our own creative path. 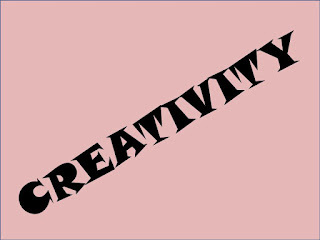 For many of us our creativity is put aside, then ignored. It is forgotten or misplaced, until the day comes it is desired. Then we look for it. In my childhood there were imaginary friends, Chuckie and Margo. According to a study by psychologists at the University of Washington and the University of Oregon, 65% of people report having had imaginary friends as children. Mine were cool: Chuckie was a boy, and Margo was his dog. They were long gone, but now they are back.....yes, you can follow them on Twitter: @chuckieandmargo. While I do not sit around and talk with them as I did at age four (and nobody has to set them a place at the table or make them peanut butter sandwiches... yes, my Aunt Catherine did that for me! ), but I do find them interesting to think about in 2013. I wonder what Chuckie would be today, had he been a real boy. Ol' Chuck was far more creative than me (and his dog never aged nor had to be put down). I bet he could be amazing. Sought after for his advice and ideas by business leaders, he would create new concepts and theories that would impact the lives of millions. Did you have imaginary friends? Regardless of the answers, imagine what they would be like if you created these friends today. What would they do? How would the impact people? Would they be generous with their creativity? Think about how their strengths would compliment your weaknesses. It is thought that imaginary friends are thought to play a role in learning to manage social situations, and overall development, both cognitively and emotionally. Can they help us grow as adults, or would others just see us as nuts? Hmmmm, not sure. Be a little creative and ask your imaginary friends how to navigate your business problems to find unique solutions. But do not expect your boss to pay two salaries (one for you, and one for the imaginary friend)... if fact, maybe you need not share who is consulting you on your decisions. Of course, this blog post could be considered a guest blog by Chuckie Imaginary. ;-) I will never tell. "Generosity of Spirit" is necessary to find success from networking. 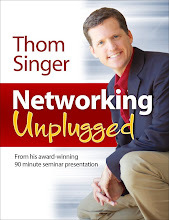 Often people think about networking as something you do when they need something from others. Too many people are absent from their business community until they are low on sales or out of work.... then WAMMO.... they show up. These people are the ones who say that networking does not work, and they cannot figure out why that one Chamber of Commerce happy hour they attended produced no return on investment. To make a network of professional contact valuable you must invest time and effort in the other people. When it comes to successful connections you must make your relationship about the other people first. This means finding ways to help other people find the path to what they need. This could be via introductions, through sharing your knowledge, or by helping promote their cause. Do things for others. Do not keep score. Assisting another person in achieving their goals will make you valuable. Trying to obtain stuff from them without establishing a relationship makes you a taker. Everyone prefers to be around givers. But it must be genuine. 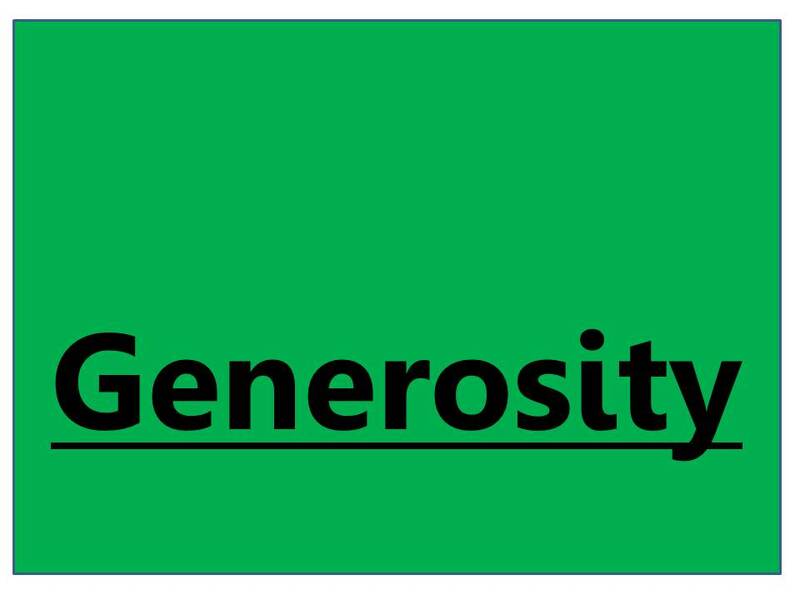 "Generosity of Spirit" is a lifestyle, not something you can rent. Take the time to ask people what they are tying to accomplish in their business or personal life. While you will not be able to help everyone, you will be surprised how often their largest challenge is an easy fix. If you do not inquire, you could miss the chance to lend a hand. 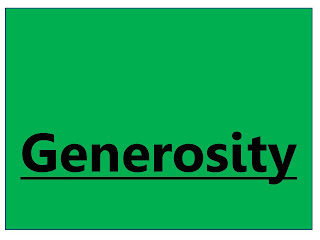 It is surprising the reasons I hear from people who fail to be generous toward others. In our busy-focused society I hear from kind souls who admit they do not invest supporting others because they do not have time, as the pursuit of their own goals is all encompassing. The irony here is that if they did reach out and give, they would find more inbound assistance. 1. Introductions: A quick introduction email takes only a minute to execute. I have seen one introduction lead to huge opportunities for both parties involved. When you think their is value in two people meeting and you do not make the connection, it is a selfish act. There is good karma in putting the pieces together. 2. Sharing Knowledge: Joshua Baer, one of the busiest entrepreneurs in Austin, Texas, holds "open office hours" each week where newer entrepreneurs can sign up to come talk with him about their business ideas (Wow, he touches so many people with a small calendaring of time). Letting people have access to your knowledge of a topic can change their world. 3. Promoting Others: This is so easy, but done so rarely. Many are scared to talk about others as they fear it will take the attention off their own efforts. But everyone with a cause needs to get the spotlight brighter. When you know someone who is doing something cool, tell others about them. It can be verbal, on your blog, or through any number of social media channels. (See "Cool Things My Friends Do"). Stop asking "what is in it for me"... and just be generous. Not everything is a competition, so find joy in the success of others, and be part of what lead them to their victories. How To Have A "Thick Skin"
People get upset quickly, and often worry too much about what others are thinking. Since few of us are clairvoyant, we tend to fill in the areas where we do not have information on the thoughts of others, and this can lead to hurt feelings and misunderstandings. Emotions are tricky things. Add imagination on top of it and it can hurt. I remember when I learned not to be upset by things people say and do that are out of my control. I was upset with some friends in college who made a choice that did not include me, and I took it personally. One of my buddies pointed out that I could allow the situation to derail years of friendships, or I could realize that they did not mean harm, but instead simply had to make a choice. This time the choice was not me, but it did not mean they did not like me anymore. This situation gave me a new perspective. I have since tried to have a thicker skin and to be slow to anger, and fast to forgive. This is not the same as letting people walk over me or take advantage... but instead when I see they are not aligned with my desires, I quickly move to a position of understanding. Others can take actions that impact me, yet their decision are not necessarily about me. 1. Realize that others do not spend much time thinking about you, your life, or your concerns. They think about themselves. 2. When you do not know all the facts, do not assume to know the motivation in another person's soul. 3. Communicate better. Most problems between people come from a break down in communication. More information is a good thing. 4. Remember that you cannot always be right or win in every situation. Embrace your wrongness from time to time. Own it. 5. While you should not let someone take advantage of you, forgiving people for quickly will lead to more peace of mind. One of the best "Productivity Speakers" and "Thought Leaders", Neen James, has done it again. She has just released Folding Time, a gripping book on the topic of "PRODUCTIVITY". There are lots of people out there who teach on this topic, but if you have never seen Neen James present at a conference, you are missing out. She is passionate and dedicated to serving audiences of all sizes. She is a dynamic speaker who helps impact the experience for all in attendance at association and corporate events in the United States and around the world (Neen lives in the Philadelphia area, but began her career in Australia). I met Neen five years ago when I attended my first National Speakers Association Annual Convention, and we have been friends ever since. She has heart of gold and lives a life overflowing with generosity of spirit. Although I was new to the speaking business, she helped me find my place in the NSA speaker community. As a leader you are not only responsible for your own productivity, but for helping those on your team be as productive as possible. Folding Time is taking half as long to achieve twice the results. It is consciously choosing to invest half the time but expecting twice the results. We are being asked to do more with less. The solution: learn to Fold Time. We don’t have time to do everything... we only have time to do what matters. Check out this book, as it will make you think differently. 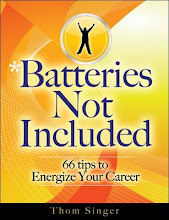 You can learn more about Neen James on her website, and order the book directly from her store. Get To Know "The Small Business Talent Podcast"
Through a series of connections I recently crossed paths with Stephen Lahey, who has a site and podcast called "SmallBusinessTalent.Com". Steve instantly struck me as a "giver" (I have written before about givers and takers: 2006, 2009, 2009, 2011, 2012, etc....) as he was quick to want to learn about me and my business without asking for anything in return. I began regularly chatting with him on Twitter, and he has really good information for consultants, coaches, and other small business professionals. He interviewed me for his podcast, and I want to encourage you to listen.... not just to my installment, but to many of his chats with smart people in the world of business. He has amazing conversations with all sorts of people who can help you foster ideas and concepts that will grow your business. He has interviewed lots of cool folks (some who I even know personally! 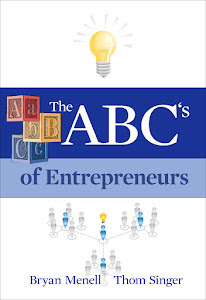 ), including: Daniel Pink, David Newman, Gerry O'Brion, and many more! I have embedded the interview here so you can listen.. or just jump over to his site to get all the information he has to offer. I signed up to get his email each time he posts a new interview. I hope you will, too!. Social media and mobile tools are great for making and cultivating connections, but we still live in the real world, and a friendship is more than a "like", "link", "share" or "follow". While participating online in the remote webcast of the 2013 PCMA Convene Conference I shared chat conversations with a smart person from Canada. I began following her in other social media communities, and we regularly saw each other's updates in Twitter, etc.... We both work in the meetings industry, and our paths continued to cross online over the past several months, but since I live in Texas, we had never met. Meredith Low is a strategy consultant who works with association and other conference planners to improve their meetings. She lives in the very cool city of Toronto. In planning for my trip to the Blue Mountain Resort (2 hours north or Toronto) to speak for the Toronto Chapter of Meeting Professionals International at there two day education conference, I reached out to see if my virtual friend had time to grab dinner before I flew home to Austin. 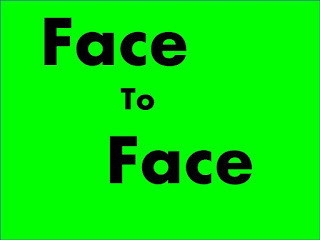 It is great to make the face-to-face connections with people you only know online. Humans are so much more than their Twitter stream, blog, or Facebook status. We had fun talking about our businesses, the meetings industry, and life in general. She is delightful, and I look forward to keeping in touch and watching her consulting business continue to grow and thrive. When you travel for business or pleasure it can be fun to meet the people you know from your online activities. And since humans are experiential beings, we create friendships when we share an experience. While not everyone you know online will transform into a friend, it is often worth the investment of time to get to know people. Sometimes it is as easy as asking if they have time to get together. My wife, Sara Singer, is the Chapter Executive for the Central Texas Chapter of the Association for Corporate Growth (ACG). She has been in this job for six years, and does a great job of running the programs for the association (which includes both Austin and San Antonio). She had spent over 10 years working in the hotel business, so her meeting planning experience comes in very handy in her current position. (I always say if you want to find someone who knows how to work hard, seek out someone with experience in the hospitality industry!). 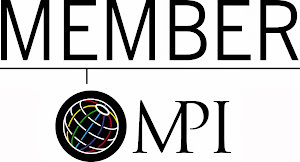 Each June the chapter hosts the Central Texas Growth Awards, which honor companies of all sizes in the region that have demonstrated outstanding growth. In good times, and in bad, the Central Texas region continues to have companies that are expanding. This year there were 12 finalists selected from a huge number of nominees, and four companies were honored at the gala luncheon on June 12, 2013. This awards lunch is now in its 8th year, and is the largest event that Sara oversees in her role as Chapter Executive. The luncheon has grown to 200 attendees, and is consistently one of the best local networking meetings for middle-market companies in the region. While there are many people on the ACG Central Texas Board, and other volunteers, who contribute to make this event a success, I am impressed by the work Sara does behind the scenes to ensure that all the pieces come together. The event runs like a well-oiled machine, and she makes it all look so easy. I am excited to include Sara in one of my "Cool Things My Friends Do" blog posts.... as she is both cool... and my friend! If you have never attended an ACG event in Austin or San Antonio, I am sure she would be glad to tell you more about their monthly lunches, the Toast to Private Equity, the Annual Golf Tournament, or the Awards Luncheon! The 2013 National Speakers Association Convention - Are You In or Not? A friend of mine wants to be a professional speaker. I have never seen him present, so I cannot vouch for his skill level, but he is very passionate about inspiring others. I do not think his desire is "ego based", but instead I think he has been touched by others who present, and wants to be one of those who makes a difference. His interest in the speaking industry is real, but he has not taken much action. He has questions, and excuses, around what it takes to be in the business. Study, inquiry and skepticism all have their place, but they can only take you so far. As we talked, I remembered being in the same position. 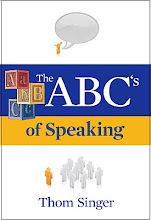 I reviewed the business of speaking for a long time, but I was not committed. I assumed I knew what it was to be a speaker, because I had observed those who speak, yet the reality was I had no clue. What we see from the outside is mainly the celebrities who speak, or local business professionals who talk at Rotary Clubs, business showcases, etc... But that middle ground, the working professional speakers, is harder to observe, and thus the day-to-day of being a speaker is often misunderstood. It was only when I joined the National Speakers Association that I fully grasped what it meant to be a speaker (since I am not a celebrity). The organization has allowed me to associate with others in the profession who are devoted to serving their audiences in a variety of manners. The biggest lesson is that no two speakers have businesses that are exactly the same. There is not magic formula that once can follow to ensure success. The next step was to understand the greater concept of the "Meetings Industry" and how I fit into that as a speaker. My association with MPI, PCMA, ASAE and other groups helped me realize that speakers are actually "Event Professionals", as great speakers have a material impact on the success of a meeting. I had to gain both knowledge and respect for the business of meetings before I was able to find my own success. I asked my friend if he was interested in attending the National Speakers Association Convention this summer? (July 27-30 in Philadelphia). He was unsure. The cost of attending made him question the value (and he was unsure if he was ready to invest). I know from experience that if he participated in the event, and looked for others who are newer to the business, he will make connections that can help him learn and grow. It is not about stalking the celebrity speakers (as while they are nice, most wont really be able to assist), but instead finding people who one can "grow up" with in the business. Is he in or not? I am not sure. I do know that if he attends he cannot hang out the whole time with me and my friends, as he will need to create his own social circle (as tagging along never allows one to find success at a conference). But with over 1000 speakers in attendance, everyone should be able to find people with whom they can establish real and lasting friendships. Had I not joined NSA 5 years ago I am not sure that I would have succeeded. Not because of the organization, but because of the people who have helped me along each step of this journey. 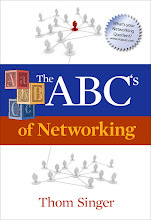 New Year Publishing has announced the release of my book, "The ABC's of Networking" in Spanish. 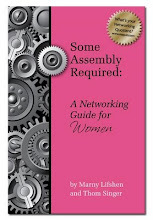 It joins the Hindi and Romanian versions of the same book (which were licensed to publishers in India and Romania), and the Russian version of "Some Assembly Required: How to Make, Grow and Keep Your Business Relationships" (also licensed foreign rights). 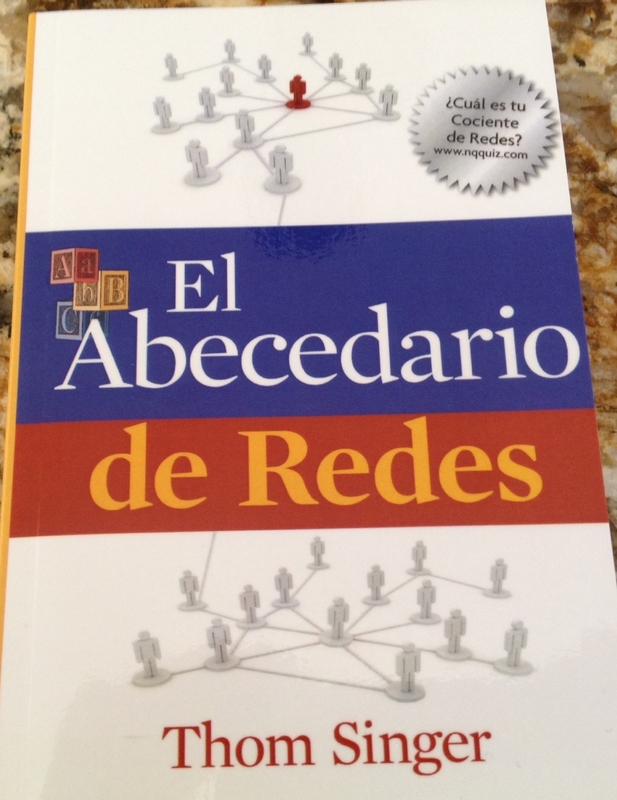 The ABC's of Networking - Spanish Edition, will be available soon via Amazon.com and other booksellers. Several of my friends who are Spanish speaking business speakers and trainers have inquired about using this book in their classes, and yes.... the book will be available for bulk purchase pricing through NYP. 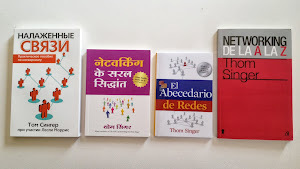 I have enjoyed seeing the foreign language editions of these books, and there more are on the way... as NYP continues to market the books for international audiences. Creativity. It is a powerful and mysterious word in today's business world. We all want to be around people who possess that creative spark, and while it is hard to describe, we always know the unique when we see it. Creating new solutions to old problems changes the world, and we have seen a lot of that in recent decades. Those people who can visualize what has not been done before (think Steve Jobs, and others) are legends. But the school system I remember worked hard to get most of us to "stay inside the lines". I was a creative kid, and I loved to draw, make up games, pretend, create, act, and play. But somewhere along the lines I got in line with the "norm". The creativity did not die (it is alive and well, just had been packed away), as my teachers and peers did not seem to cherish and celebrate those who pushed the envelope. My parents also, as great as they were, guided me toward a traditional path. Today, as I raise two daughters, things seem a bit different. I work for myself which means I must seek creative ways to keep the lights on ever day. My kids are encouraged in their education to explore and discover the things that interest them. They see their parents working to forge a new path, instead of working in regular jobs, and I hope we set good examples. Their options appear more expansive and complex, and their teachers seem to cherish the quirky things that make them each unique (although, I am not sure that the peer thing has changed much...as those that are different still seem to get pushed out or pulled back - see The Lobster Story - a 2005 post on this blog). A friend posted a Tweet Link to a story about a TIME poll that shows Americans value creativity above all else, but it went on to show that while it is important, most people do not understand what it is to be creative. My work within the Meetings Industry has shown me first hand there are people out there who are willing to try new things. Those who plan events are some of the most creative (and under-appreciated) people I have ever met. However, while many value creative ideas, the thought of trying new things scares some people. There are those that love the idea of shaking up their conference agenda (and do it), but others fall back to the known and tried when they have to make the final decisions. 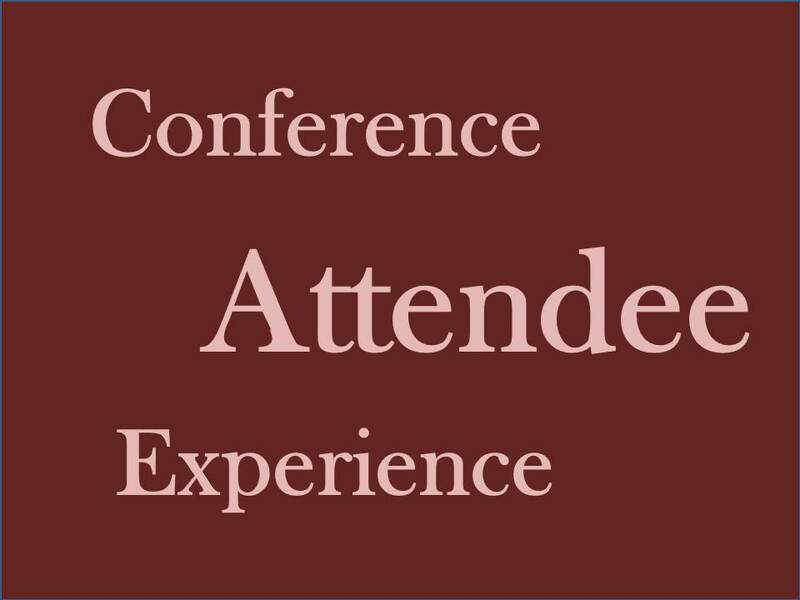 This is not just true for conferences, but in all business sectors. We want to be creative, but too few of us will go out and take the risks. I enjoy creativity, and am working hard to unpack my own experimental qualities so that my potential is not stifled by false walls. How about you. What have you done that is creative this week? Cool Things My Friends Do -- Jessica Pettitt Launches "Shebango!" One of the best parts of being a professional speaker is the wonderful friends I have made in the speaking industry. Jessica Pettitt, CSP is one of those special friends who has enhanced my life by her presence. She is a former college administrator and stand-up comic who became a professional speaker. I met Jess about 18 months ago at a National Speakers Association event, and we have become fast friends. She is one of those people who is always willing to help others and takes joy in the success of those around her. Jessica has launched a series of product offerings for closing a conference called "Shebango!". Together we share a belief that the speakers selected to open and close a conference set the tone for the whole event, and impact how people remember their experience (which leads to how they talk-up the conference to their peers and influences if they return the following year). Where my "Conference Catalyst" program typically kicks off an event, her "Shebango!" closes the conference (Holy Cow - I can't wait until the right planner comes along who uses us both at the same event!!! Talk about fun for all). She participates in all aspects of the conference and then summarizes the vibe of the multiple days with her unique mix of humor and motivation. Here is a quick video where she shares more information about "Shebango!" Want to see Jessica in action? She will be the Facilitator of Awesomeness (and yes, the Shebango!) at the America Talks Business Conference in Philadelphia on July 24-26, 2013. Congrats to Jess.... this is cool (and so is she). Meeting Planning: Focus on the "Conference Attendee Experience"
In yesterday's blog post ("The Good-Old Days of Blogging") I mentioned seeking inspiration from reading another person's blog, and then writing more about how that post gets you thinking about a topic. I knew today I needed to take that action. A recent post on the ASAE "Associations Now" Blog by Samantha Whitehorne was my muse... it got me excited about the topic of improving meetings (well, I am ALWAYS excited about meetings, conferences, conventions, trade shows.... and ways to make them better!). 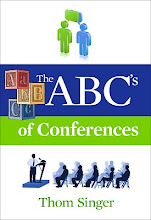 Her post, "7 Ways To Make Your Next Conference Great" should be read (and re-read) by all who plan events. Jump over and read her post. The key point, which is mentioned more than once in her article, is that meetings are about the people who attend the event, not the organizations that plan the conferences. While this sounds elementary, the reality is that it can easily be forgotten when there is a committee involved and decisions are being made around conflicting agendas. A friend recently attended a conference where the keynote speaker was not very engaging (AKA: Dull). She mentioned her opinion to the person in charge of the event who responded by saying that "the speaker was very smart, and we were all lucky to hear from him". Apparently the reality that the audience did not respond well to the presentation did not matter. That is not good! 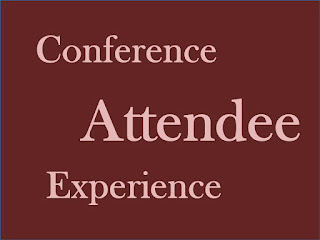 All decisions that are made in planning an event (speakers, venue, food choices, entertainment, timing of breaks, etc...) should all be made with the "conference attendee experience" in mind. I was involved in organizing an event several years ago and too many sessions were planned, so it was suggested that we eliminate coffee breaks. Could you imagine an event that went from 8:00 AM until 5:00 PM with no breaks? That was not suggested with the audience at the core of the planning. (This was not the final solution, but heavily considered). I enjoy working in the meetings industry (yes, being a professional speaker is a direct part of the meetings business!). I especially like working with planners who think big and seek out ways to shake up the "same old / same /old" traditional ways of organizing meetings. Just because something was done before, does not mean it needs to continue. Looking for ways to get people more engaged is exciting, and everyone in the business can have an impact. What do you think? Have any input on this topic? Reach out and contact me. I love chatting about this stuff. In the early day of blogging it was common for bloggers to read something on one blog, and then use that as inspiration for their own post. They would link back to the muse, give credit to the other blogger, and then add their two cents. Bloggers would comment on each other's sites and look for ways to help promote others who were also writing blogs that caught their attention. Early blog guru's like Darren Rowse of ProBlogger and Brian Clark of CopyBlogger got their start being a peer to others who were exploring blogging. It was not a competition, nor about being a self-focused activity. Blogging was about community.... really, it was! Those days are long gone. Most bloggers seem to only promote their own thoughts and ideas while they pontificate. There seems to be few outbound links to other writers of blogs, and rarely do people seem to site their inspiration...., unless that other person is famous. There seems to be a mistaken notion that famous people will see a post and "discover" the person who wrote about them (yeah, it doesn't happen that way too often). I still see people link out to the most well read blogs, but it is no longer common for bloggers to promote their peers. (See my Blog Roll on the right side of this page, and click through to see some great blogs!!!). It also seems like with the addition of so many blogs, that few people are as interested in reading what others have to say as they were in the past. I miss the old days. It was fun. There was a feel of the Wild West, but it was a community of people seeking to learn, share, and connect. Lots of people were blogging about blogging.... and there was something cool about having a blog. It was the topic and the writers opinion that mattered, not the flash of who was the cool kid on the block. But then it all got stale. Too many corporate marketing consultants pushed a ton of non-bloggers into creating their own portals. This shifted blogging to be more promotional, and the intrigue of finding an interesting blogger who could be shared with friends vanish in the over-crowded sea of pre-scheduled posts. And yet I still write. It is cathartic for me, and it allows me to explore thoughts. ideas and observations. I try to promote others (which is why I created the weekly "Cool Things My Friends Do" posts), but I do not link out as much as I did in the past. I wish that culture of quoting and linking was still active. It is still exciting for me to read posts by the people who I admire, but I rarely find new bloggers that catch my attention. By reading posts on other platforms I am encouraged and inspired and I plan to seek out some thought provoking sites and use them as my muse. Look for more posts here where I that take concepts I find elsewhere and add to the conversation. The 2013 Austin Outstanding Corporate Growth & Emerging Companies Awards Lunch, hosted by the Central Texas Chapter of the Association for Corporate Growth, will be held on Wednesday, June 12, 2013 at the Four Seasons Hotel in Austin. This annual event is always one of the best gatherings of the year for the Austin Business Community, and it is a great place to network and to learn about local middle market companies. This year's keynote speaker is Brian R. Smith. Brian serves as the managing director of S3 Ventures, an earlier stage venture capital firm with $95M under management. Brian oversees all of S3′s investments. S3 invests primarily in Texas and the southwest. The master of ceremonies... well that is ME. (This will be the 32nd event of 2013 where I have been the speaker or the EmCee... so hopefully by now I know what I am doing!!! ).